Home / Featured / What’s Wrong With Wheat? Wheat is a highly controversial food these days. On one hand, we’ve got people telling us that it is extremely harmful, with one doctor calling it poison. Then on the other hand, we’ve got dietitians and the government telling us that whole wheat is an essential part of a “balanced” diet. 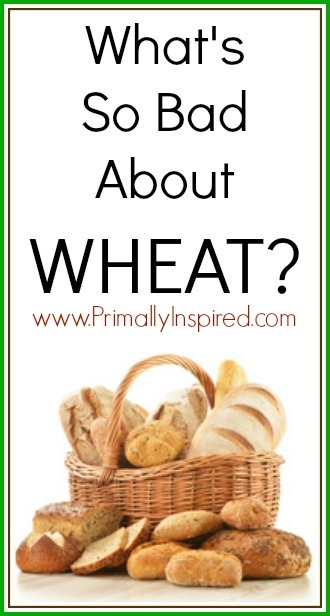 Well… one inescapable fact is that humans have been consuming wheat, in one form or another, for thousands of years. It is an old food… and most diet-related diseases are relatively new. Therefore, it doesn’t make sense to blame old wheat for these new health problems. However… it’s important to realize that wheat today is not the same as it was a thousand, one hundred or even 60 years ago. Wheat today is completely different from the wheat we ate back in the day. First of all, it is processed differently. New techniques in grain processing in the late 19th century made it possible to create massive amounts of refined wheat for a low cost. We are now able to separate the nutritious components of the grain (the bran and germ) away from the endosperm, where most of the starchy carbs are contained. This lead to an obvious reduction in nutrient density and gave refined wheat the ability to spike blood sugar very fast. But we also used to prepare our grains differently. They were soaked, sprouted, fermented and bread was baked using slow rise yeast. 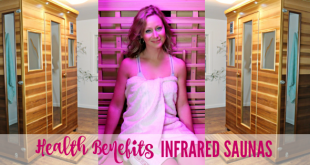 Sprouting and fermenting grains leads to many beneficial effects. It increases the amino acid lysine, reduces anti-nutrients (like phytic acid and lectins), disables enzyme inhibitors and makes nutrients more accessible (1, 2, 3, 4, 5). Today, the flour is bleached and the bread is baked with quick rise yeast. The grains certainly aren’t soaked, sprouted or fermented. Based on these factors alone, it is clear that the bread and pasta we are eating today is very different from the traditionally prepared wheat we have been eating for thousands of years. Bottom Line: Wheat is processed and prepared differently these days, which makes it less nutritious and more harmful than traditionally prepared wheat. The plants that wheat is made from are not all the same. There are different breeds of wheat… just like there are many different breeds of dogs (a Chihuahua is very different from a German Shepherd, for example). Back in the day, we used to consume ancient varieties like Emmer, Einkorn and Kamut. However, almost all of the wheat eaten today is high-yield dwarf wheat, which was developed by cross-breeding and crude genetic manipulation around the year 1960. Dwarf wheat has shorter stems and a much greater yield. Therefore it is much, much cheaper than the older varieties and more economically feasible. The benefits of a high-yield crop are obvious, but we are now learning that there were some major downsides to this as well. Specifically, modern wheat has some subtle but important differences in its nutrient and protein composition. Bottom Line: Modern wheat was introduced around the year 1960. It was developed via cross-breeding and crude genetic manipulation, which changed the nutrient and protein composition of the plant. The Broadbalk Wheat Experiment is one of the longest running scientific studies in history. Since the year 1843, the scientists have grown different strains of wheat and analyzed various factors, including nutrient composition. From 1843 until about 1960, the nutrients in wheat didn’t change much. However, from the year 1960, which coincides with the introduction of modern wheat, the nutrient content starts trending downwards. Concentrations of Zinc, Copper, Iron and Magnesium were 19-28% lower in the years 1968-2005, compared to 1845-1967 (6). At the same time, there was no evidence that the soil had changed. So it is clearly something about the nature of modern wheat that makes it less nutritious than the older varieties. Another study that also compared different strains of wheat found that the older varieties contained significantly more Selenium (7). Given how incredibly widespread wheat consumption really is, it is easy to see how this may have contributed to nutrient deficiencies. Bottom Line: Modern wheat is less nutritious than old wheat. The amount of minerals like Zinc, Copper, Iron and Magnesium has decreased by 19-28%. Celiac disease is the most severe form of gluten intolerance. When people with this disease eat wheat, the immune system in the gut mistakenly assumes that the gluten proteins are foreign invaders and mounts an attack. However… the immune system doesn’t only attack the gluten proteins, it also attacks the gut lining itself, leading to degeneration of the intestinal lining, leaky gut, massive inflammation and various harmful effects (8). Celiac disease is serious business… it has been on the rise for decades, increasing about fourfold in the past 45 years. Right now, about 1% of people have celiac disease (9, 10). Another condition, called non-celiac gluten sensitivity, is believed to be much more common, perhaps afflicting around 6-8% of people (11, 12). Gluten is actually not a single protein, it is a family of different proteins and only some of them are recognized by the immune system of celiac patients. One of the gluten proteins that seems to be problematic is called Glia-α9. One study found that the amount of this protein is significantly higher in modern wheat (13). Therefore… many researchers have speculated that modern wheat, due to its higher amount of problematic glutens, may be worse for celiac patients than older varieties of wheat. Interestingly, this has been tested in several studies. One study compared the effects of Einkorn (old) and modern wheat on intestinal cells from celiac patients. Compared to modern wheat, Einkorn didn’t have any harmful effects (14). In another study in 12 celiac patients, gluten from Einkorn caused significantly less adverse reactions than modern gluten and was even better tolerated than rice – a gluten-free grain (15)! The way wheat is prepared may also be important. In one study, sourdough bread(bread made from fermented wheat) did not cause a reaction in celiac patients in the same way as regular bread (16). Of course, these studies do not suggest that celiac patients should start buying Einkorn wheat or sourdough bread instead. This needs to be studied a lot more before any recommendations can be made. But what these studies DO suggest is that modern wheat has a unique ability to trigger an auto-immune reaction in the gut and is probably the main reason why celiac disease and gluten sensitivity are on the rise. Bottom Line: Modern wheat contains more of the problematic glutens and there are some studies showing that older wheat varieties don’t cause a reaction in celiac patients. Pretty much everyone agrees that wheat can be a problem… for celiac patients. Awareness and acceptance of non-celiac gluten sensitivity has been increasing as well. But one thing that most skeptics refuse to accept is the possibility that wheat can be harmful for other people as well. That is, people who don’t have celiac disease or gluten sensitivity.nce of non-celiac gluten sensitivity has been increasing as well. Well… I also found a couple of studies in healthy people. One of them was published in early 2013. This study compared Kamut (an older variety of wheat) against modern wheat. It was a randomized controlled cross-over trial with 22 healthy participants (17). The participants consumed either Kamut or modern wheat, for 8 weeks each. As you can see, Kamut wheat caused a reduction in both Total and LDL cholesterol compared to modern wheat. It also increased blood concentrations of potassium and magnesium, while these minerals decreased with the modern wheat. Kamut also caused a mild reduction in fasting blood sugars (3 mg/dL), but that isn’t shown on the graph. Here is what happened to inflammatory markers. Excess inflammation in the body is linked to almost every modern disease, including heart disease, diabetes, metabolic syndrome, stroke, Alzheimer’s, arthritis and many more. As you can see, Kamut lead to a major decrease in some important inflammatory markers (IL-6, IL-12 and TNF-α), while modern wheat did not. In the case of TNF-α, modern wheat caused an increase, although it was not statistically significant. What this study implies is that Kamut wheat is, at the very least, much “less bad” than modern wheat. There was also another study that tested an old Italian variety of wheat and noticed significant improvement in blood cholesterol and inflammatory markers compared to modern wheat (18). Bottom Line: Relative to older wheat varieties, modern wheat has adverse effects on cholesterol, blood mineral content and inflammatory markers, potentially contributing to disease. 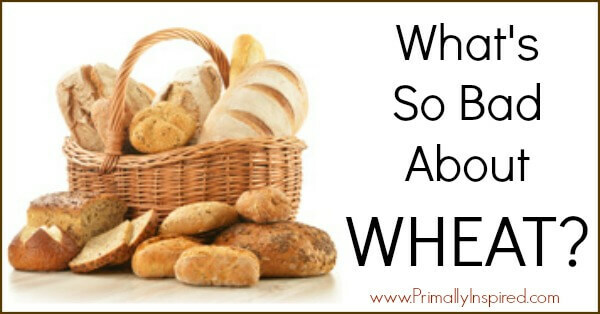 Is There Such a Thing as Healthy Wheat Bread? If you can get your hands on whole grain bread made with Einkorn or some of the older varieties of wheat, then perhaps it can be a part of a healthy diet. Another way is to make it yourself. You can dig around and find someone who sells whole wheat grains of the old breed, then you can grind and ferment the wheat and bake your own healthy bread. Or you could just save yourself the trouble and skip the wheat altogether. 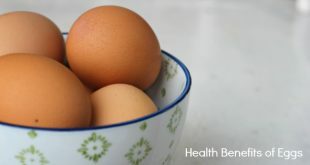 There’s no nutrient in it that you can’t get in greater amounts from other foods. Even though wheat may have been healthy in the past, the wheat people are eating today is completely different. It’s the same as with many other modern foods… when scientists try to “enhance” what nature has already provided us with, things tend to go wrong. In the case of wheat, this ancient diet staple was accidentally turned into a modern health nightmare. If you care about your health and can’t get your hands on the older varieties of wheat, then do yourself a favor and avoid wheat like the plague. Click HERE to Pin this article on Pinterest! Article by Kris Gunners and republished with permission. Find original article HERE. 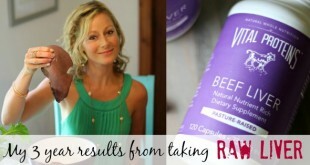 Ditching soda is easy with these 3 delicious and healthy alternatives to soda! 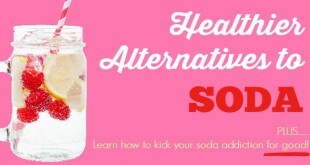 Plus learn tips for how to easily kick your soda addiction for good! I can highly recommend the book “Wheat Belly” to learn more about this! Love that book, Connie! Thank you! It would be nice if someone sold already made bread and pasta made from these grains. Does that exist anywhere? I’m just not going to go through the trouble of making it myself, so I’ll obstain until I can buy it. I would also recommend Grain Brain! I feel so much better since I’ve adopted his plan! Great explanation…I’ll have to share this link on my blog’s Facebook page…there are so many people who still have a hard time understanding this concept. Thanks for breaking it down in a way we can all easily understand. Thanks for this super thorough article. I don’t have celiac, but definitely have a sensitivity. 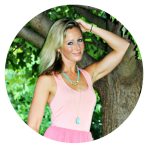 I’ve been gluten-free with little exception for about 4 years, and have seen dramatic improvement in my digestive health and comfort. I’ve also noticed what I’m guessing is better nutrient-absorption, as my fingernails rarely to never split anymore (and the used to all the time). Another major change, which I didn’t realize until experimenting with adding it back into my diet last winter, is that without gluten in my diet, I literally NEVER get ulcers in my mouth. The week after I tried adding it back in, I got multiple. Very interesting to be my own guinea pig. Is wheat bad if it is made organically without all that processed, and added ingredients? Do you know anything about wheat montana co? When I do use wheat I grind my own from the berries from that co. Just wondering if that’s safe or any better? This article is misleading. There are many wholes in your arguments. I would not have known any better a few years ago but I am a biochem major, studying to become a dietition. I said Whole because in 100% Whole grain bread the germ and bran is not removed. Sort of a pun if you will. As well as the fact that there is currently no scientific studies done that gmo strains lack nutrition. All of the studies are linked to in the article. You are welcome to read them. Tashira, if you are going to claim that you found many holes in her argument then you should claim all of them that you found and the site all of your sources. Everything that Kelly stated has been stated in other sources and back by scientific evidence. You want real science? Well then you should read Wheat Belly. It’s got plenty of science for you to try and debunk. Good luck with that. Once again thank you Kelly for all your research. You break it down so the average person can understand. 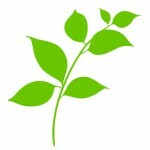 I have been wheat free for going on four years and have never felt better. The biggest sticking point us skeptics have about the vilification of bread is the claim that you can directly link a myriad of health issues to bread consumption in healthy people. You claim “gluten sensitivity [afflicts] 6-8% of people,” yet the first study you cite posts the number at 0.63 – 6.0%. You can’t just cherry-pick the top of the range of a widely varying number; that’s intellectually dishonest. Note that the author concludes “Future research is needed to generate more knowledge regarding non-celiac gluten sensitivity, a condition that has global acceptance but has only a few certainties and many unresolved issues.” The author notes that there is a severe lack in controlled, double-blinded studies of the prominence of gluten sensitivity. It’s not that us skeptics think that it’s *impossible* for a large swath of the population to be gluten sensitive, we just simply think there is no solid evidence of this. For a condition that is often self-diagnosed and tends to wax and wane with the latest dietary fad, you can understand why we’re a little hesitant to take dramatic action without more data. The study you cite relating to the effects of “modern wheat” on healthy people is minuscule: 22 individuals. And although it provides some interesting results, when you have such a tiny sample of individuals, are testing hundreds of different data points, looking at minute changes, and then cherry-picking the indicators that tell the narrative you want, you’re opening the door to introduce noise, error, and bias into your findings. It’s an interesting study that could warrant more investigation, but if the best thing you have to show us after nearly a decade of gluten-hating hysteria is a single, 22 person study of one type of grain, consider me underwhelmed. Certainly this is not sufficient evidence to build the foundation of the multi-million dollar anti-gluten empire that exists today.